Snapped this polaroid of myself a few days ago, after waking up to find my hair unusually...wavy that morning. Today marks the end of the week's grueling and hellish tests, and hopefully, I didn't do badly in them (will know next week!). And what so special about this photo and how does it relate to this blog post's title? 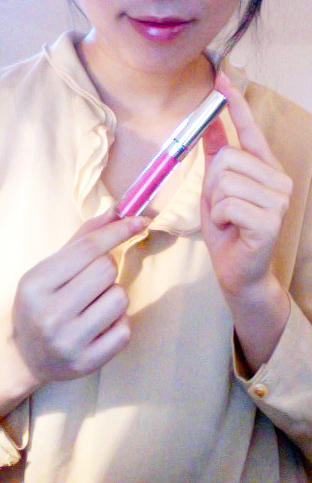 The answer, my lovelies, is that I was wearing pink pink lipgloss that gave the lips extra shine! Previously, I was contacted byAnastasia Beverly Hills to do a product review of their eyebrow kit. However, they sent me their HydraFull Gloss instead, and now I am the lucky girl that gets to review two products, once they send me the eyebrow kit later! I love lip gloss, they look and feel better than lipstick and sometimes, you just feel all glamourous and glittery with lipgloss on. These beauties really do make your lip really hydrated. I was impressed by how the rich formula of the gloss hydrated my lips, especially since it contains ingredients like shea butter and jojoba oil. It lasted pretty long too, pretty much all the time I was in school. Washed off fine and left no trace! Also, it smells really good, and yet doesn't leave any taste on your lips at all. You can hardly feel it on your lips because it's quite light. It also came with a paddle applicator instead of the usual brush, and that's good because I usually end up applying too much with brush and end up having to wipe some off using tissues, which wastes the precious tube of gloss. Here, the paddle is cleaner and applies less at a time. One little thing was that didn't come in any packaging, it was just a tube wrapped in an envelope. I was a bit disappointed because I thought it would come in something a bit special. Apart from that, the tube feels sturdy and strong and certainly won't unscrew or uncap when you stuff it in your purse, or throw it in the handbag when you're in a hurry! Did I mention how much I love the color ? I chose the flamingo pink and it's gorgeous. Makes the lips more pink and bright, and you know, you look younger with pink lips! They have a whole range of colors, from nearly orange to deep red, which is suitable for everyone's tastes. I would like to once again thank Anastasia from Beverly Hills for giving me this product. It is definitely for keeps and do visit her website, which sells all kinds of makeup and glosses of different color. So cool! It's hydratating, isnt it?? Love it. the pink lipgloss looks flattering on you. yup everyone is going vintage photography now with lomo settings. Love that lippy color on you! Oh, you are so good a this! I do like your review, and hair too! What a great color you chose! Sweet hair in the morning! the gloss is really pretty on you!! and omggg your hair is gorgeous. so long & pretty ^o^ i love that first polaroid of u! I love the polaroid photos too! The gloss looks great, such a pretty colour. Nice pics! and cute blog! I love it so much!!!! it inspires us!!!! Would you like to follow each other :-)??? the gloss really fits you! nice post! I love glosses too, I use them in place of lipsticks. Pink gloss is a must! Great minds think alike (ha!). 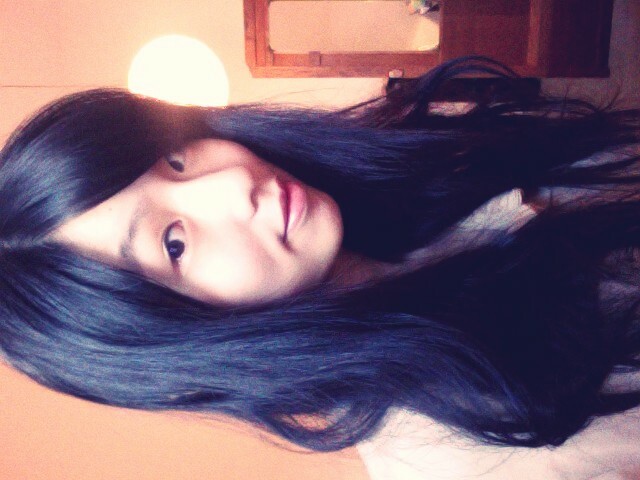 How did you sleep and get such nice wavy hair? You have to teach me, my hair is always in a mess when I wake up. DARLING YOU ARE REALLY GORGEOUS! THIS POST INSPIRE US!!! I like what i see here. that's a lovely color. Looks nice on you! Your hair looks wonderful, I love it when my hair is naturally wavy in a morning but it doesn't happen often... tell me your secret! Also very flattered that you mentioned me in an interview, sorry I've only just replied. That lippy looks a great shade! You look stunning it that lipstick....how can you not? You are so gorgeous! your photos are nice! thx for the review! Such a beautiful color on you! Your hair is so voluminous! Do you have a post on how to get it that way? Your hair looks great! I love instant pictures, too bad the film is always so expensive. Hope you did wlel in your exams. 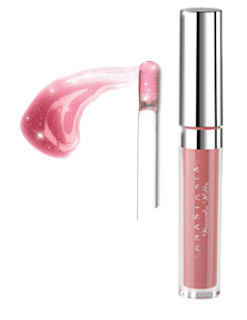 gorgeous lip gloss. the color is great on you. i used to get my eyebrows done at Anastasia until i had kids and no longer had the time or money to do it. seriously though they did such a great job on the brows!!! 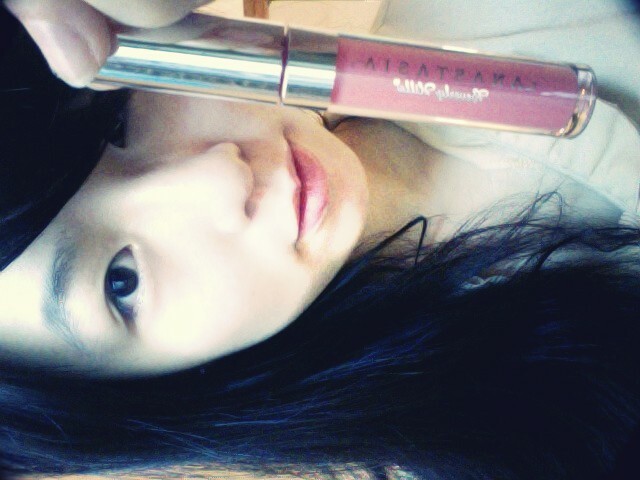 nice, lipglosses are tought to find. my favourite one was a limited edition one so i don't know what i'm going to do when it runs out! You sell that gloss well. Beautiful. looks great. i'll have to try it! thats a super nice gloss-- and your hear looks super cute nice and wavy! i love itttt! 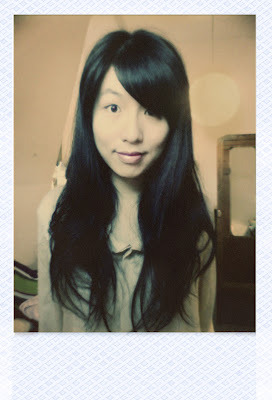 I am full; fan of both gloss & Polaroids... and what beautiful hair you have! Wait. You used a REAL Polaroid? ((sigh)) they don't sell those things over here anymore. I wish they did. I looove a good lip gloss, but I really need to work on not losing them. Great post! Love your blog, so I awarded you an award! Please check my blog! I included lip gloss in my morning routine just because of you. I haven't found a great smelling, tasting, not gooey or thick lip gloss yet. polaroids are amazing! not a fan of lip gloss. but i do like lipstick and the matte stuff. I just don't like shiny glossyness.